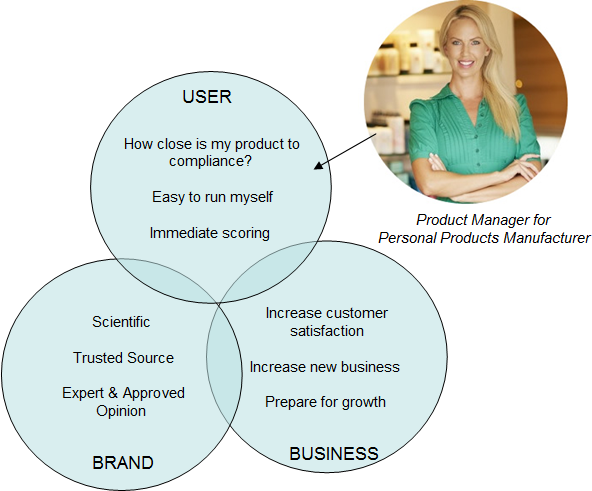 Bringing a scientific evaluation online in an approachable, useable way. ToxServices is a third-party reviewer for the US EPA’s Safer Choice Product Labeling program. Their customers are manufacturers of a wide range of cleaning, household, and personal care products. 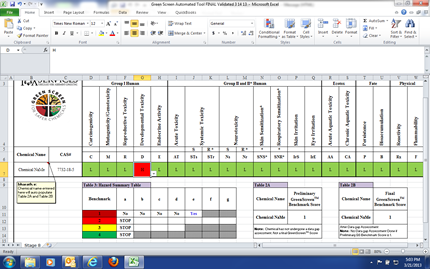 ToxServices chemists developed a product evaluation tool using an excel spreadsheet. They wanted it built into an online application that would be offered as a free tool from their website, with the goal of driving more traffic to the website and generating new business. Instructions and evaluation information were out-of-sight down at the bottom of the page! Very confusing tool! It hadn’t even occurred to ToxServices management to get a UX person involved. Provide clear and direct links for follow-on consulting and evaluation services. I provided the HTML/CSS code for the programmer to implement.